They’re looking so lovely! I forgot to plant my seeds, it may be too late now, but I have two packets, so I’ll plant one later today and see what happens with them. 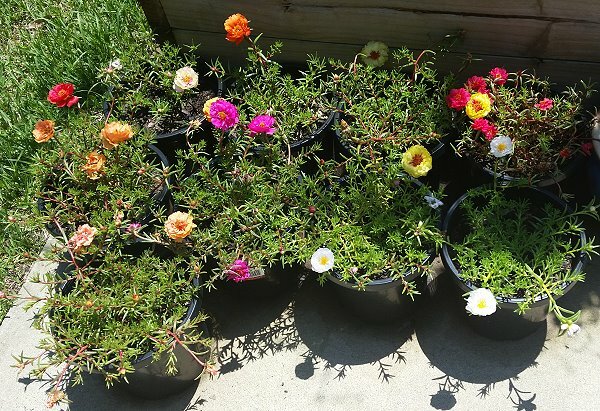 I’ll plant the rest in the late spring, after the woolly bear caterpillars have gone. 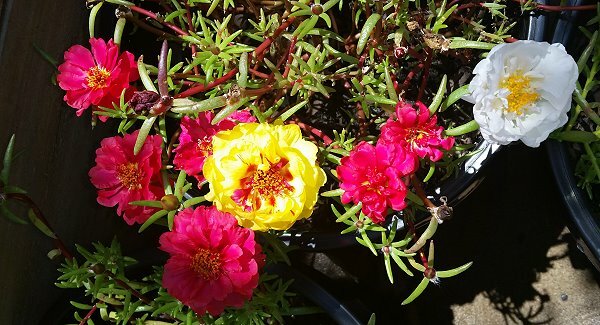 Portulaca is looking good. Mother seems to have forgotten them and pots up so many petunias every year. 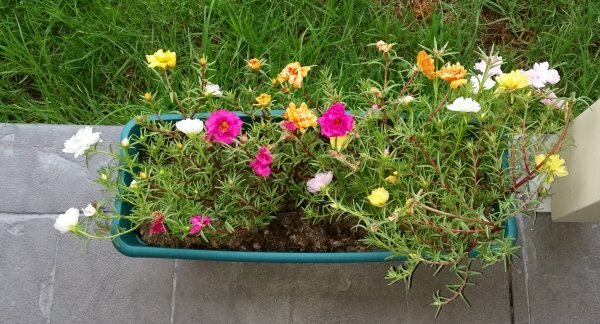 Maybe I will suggest to her for next summer to pot up some portulaca. Gorgeous colours. You’ve brightened my day! Such pretty colours! Apparently, they’re edible as well? I only found this out after I moved from a garden full of these and pigface! 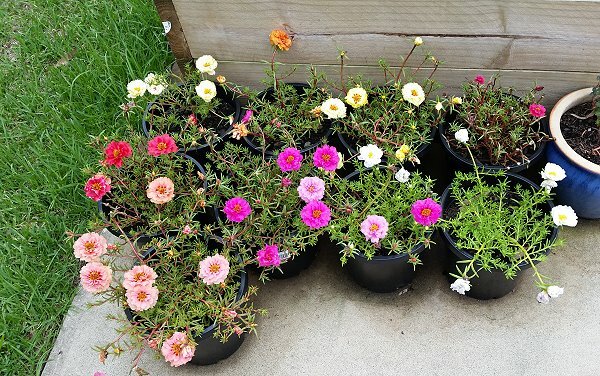 Those flowers are lovely, so colourful, and very much appreciated on a cold, wet and windy UK day.